Czech food is a notorious foe to us gluten intolerant folk. Upon traveling to the land of beer, goulash and dumplings, I halfway expected to pick at lettuce and/or McDonalds fries all week long. So imagine my delight when I was researching Celiac-friendly options in Prague and finally came across a restaurant that supposedly served gluten-free versions of traditional Czech dishes. At first I thought it was too good to be true, but thankfully I was mistaken. At Švejk Restaurant U Karla, you can find classic Czech dishes specially prepared gluten-free for a surprisingly decent price. My mom and I, both Celiacs, went there twice during our week in Prague. We feasted upon their gluten-free beef goulash with onions and homemade dumplings, pork sirloin in a sour cream sauce with homemade dumplings, roasted sausage with mustard and horseradish, pancakes with marmalade, fruit dumplings and apple strudel. They even serve a tasty gluten-free Czech beer called Celia. You can check out the rest of their extensive GF menu here. Behold, good gluten-free beer actually exists! These fluffy pancakes filled with apricot marmalade melted in my mouth. Gooey dumplings filled with seasonal fruit & topped with cinnamon, sugar and cheese. Perfection. Švejk Restaurant U Karla is conveniently located in Nové Město, or New Town, just a 15 minute walk from Old Town Square. If you are traveling to Prague and have Celiac Disease or a gluten intolerance, I highly recommend printing out a gluten-free restaurant card like this one to give to your waiters at restaurants. There aren't many eateries in Prague that have special gluten-free menus like Švejk Restaurant U Karla or Hotel U Prince, and not every waiter knows what gluten is. Using this card helped me enjoy dishes at other not-so-Celiac-friendly restaurants without getting sick. Although I wasn't expecting to sample authentic Czech cuisine in Prague, I was pleasantly surprised by how much of it I got to enjoy. I think it's fair to say that I loved every single bite. 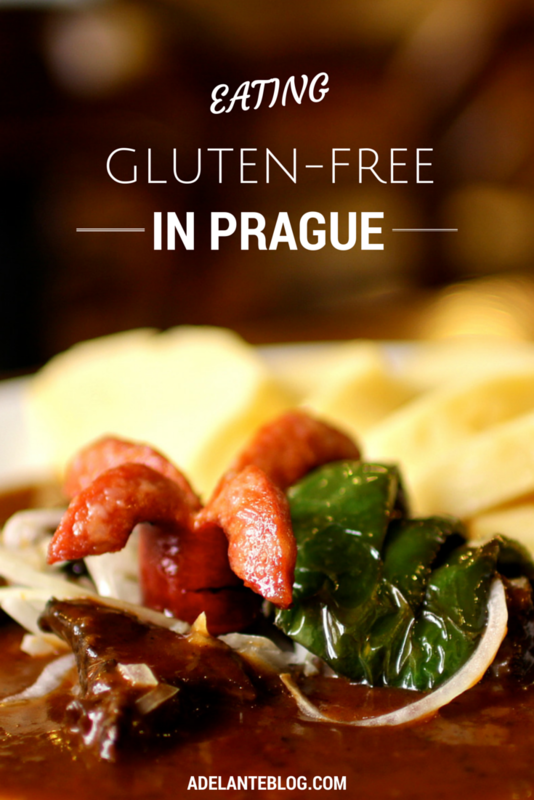 8 comments on "Eating Gluten-Free in Prague"
All of that food looks amaaaazing, I'm so glad you found a way to experience the sinful food of Prague! It would be such a bummer to miss out on the beer and dumplings. It's amazing to see how accommodating the world has become to gluten intolerance and Celiac. I found it a challenge to eat there with a dairy allergy...there was usually only one thing on the menu that I could try. Next time I'll definitely bring one of those allergy cards to try to communicate better. Oh man, I bet it was really tough traveling there with a dairy allergy :( I love Eastern European food, but why does it have to be so unfriendly to food allergies?! Me too - it was such a relief, let me tell you! I would have been heartbroken to miss out on goulash and dumplings. 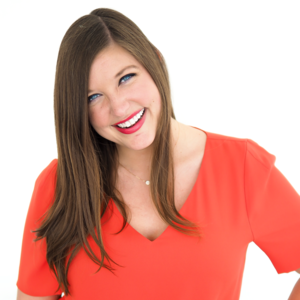 Thanks for this great post Courtney! My father-in-law is visiting us on our 'Around the World' trip and his last stop with us before heading home is Prague. We already carried around cards with us that explained the gluten issue in Czech, but we were hoping to find restaurants where he wouldnt have to worry if they understood. We will definitely give there two places a try. I also understand the frustrations of traveling with a food allergy. My husband and I have been on our trip for just over 7 months and I am allergic to garlic or onions. If you thought finding gluten free was challenging, try traveling in India for 3 months with my allergy :). At least yours has a name and a food movement behind it. I'm so glad you found it helpful! I only wish more restaurants in Europe were just as accommodating. And a garlic/onion allergy sounds BRUTAL! I can't believe you've survived 7 months abroad having to deal with that. You're a champion! You make gluten free look absolutely delicious!! !